In every franchise decision, whether fast food or home health care, there are certain considerations that must be made in order to select and grow your business. Take a skills inventory and clearly understand what you do best. Also take a peek at what business activities make you happy. Do you like to do pivot charts on Excel or come up with creative ideas? If you love children then select a business that allows you to spend the day with them. If you are a dedicated caregiver, select a home health or senior care franchise. Take into consideration what your day will look like in your new business. You may be an excellent baker, but owning a cookie franchise requires knowledge of administrative tasks such as managing, hiring and training staff. A successful operation is one that matches your personality so be analytical and do your research before jumping aboard. 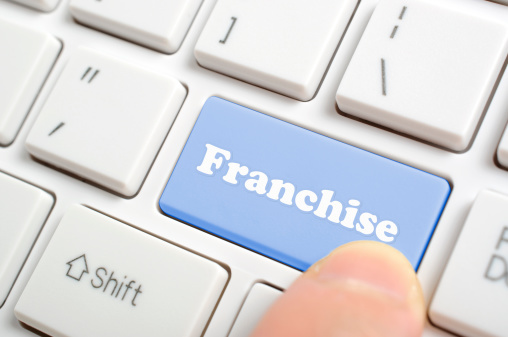 You’ve carefully selected your franchisor because you firmly believe that they are leaders in their market. In order to drive success you need to absorb the system that they’ve perfected over time. During the training totally immerse yourself and ask every imaginable question. Be a sponge and absorb all the information and continue to read the manuals and updates. Shadow and pick the brains of the other franchisees for they have overcome obstacles and experienced growth, but do not listen when they tell you they have better ways of accomplishing goals than the franchisor company. Don’t try to be a rebel and make changes, for you may make a rash error. Have confidence in the system that you have invested your time and money in and follow the franchisor leader. It may be daunting to write a plan that encompasses your goals as well as how to operationalize and monetize them, but it is a must. Do not get caught up in the format of the plan just make certain you do an assessment of where you are and where you want to go. Without a roadmap and a clear idea of your objectives and how to accomplish them, you will surely fail. Many franchising companies will work with you to chart your goals and project your finances, remember that your success helps them to succeed as well. The reason some franchises fail is that the owners stop marketing. Even the most successful national brands have an on-going marketing effort. Don’t relay on the franchise concept or the location alone to bring you business. Make sure you test and analyze different marketing methods. Take into consideration both traditional (print, radio, television, billboards and public relations) as well as digital. Ask other franchisees what works in their market. Always allocate a percentage of sales to marketing. Also, be active in your community in order to gain recognition. There is no better way of marketing then a one on one direct sale. Although your franchisor will teach how to run your business you must continually learn new skills to be effective. If you are not accounting savvy sign up for a course so that you clearly understand the profit and liabilities of your company. If you are not a “super seller” join a Toastmaster ® club and learn how to speak persuasively. If you don’t understand internet marketing take a class or contact the marketing professionals in the main office, these are skills that are necessary to run your franchise. Study the trends and project where a franchise will be in the future. If it is outdated or there is a downward trend in revenue look at a franchise that is recession proof. For example with the greying of America you might want to consider healthcare, such as a senior care franchise or capitalize on the growing health foods market. Lastly make sure you have a passion for your new businesses. The enthusiasm you have for your product or service will shine through and your bottom line will be impacted for sure!! Good luck in making your decision.